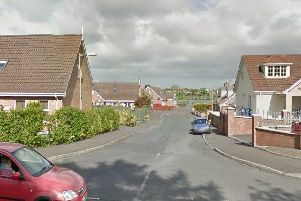 Police have conducted a search in the Birchdale area of Lurgan this afternoon (Saturday, July 23). It is understood the search is in relation to what they say is ‘serious crime’. The search is centred on Birchdale Manor, in the Birchdale area just off the Belfast Road between Lurgan and Dollingstown. Local DUP MLA Carla Lockhart has attended the scene and said she will be liaising with poilce to minimise disruption to residents. It is anticpated the search could go on for several hours.